John Thanopoulos studied in Greece, France and England before receiving his doctoral degree in Marketing from the University of Arkansas, in the U.S.A. He started his career as a business practitioner having achieved by the age of 26 more than $25,000,000 in sales. Eventually, however, he joined the academe and, from 1983, the University of Akron in Ohio as a Director of the International Business Programs where he also taught Marketing and International Business. He also served to various other positions, including Associate Dean for the American College of Greece and Co-chair of the Executive Committee of the Greater Akron Export Association. World Education Congress, Best Professor in International Business (2012). The editors of the Internationalizing the Business School: Global Survey of Institutions of Higher Learning, acknowledged him as one of the six ‘early pioneers’ of these studies (2000). University of Akron, College of Business, Teaching Innovation Award (1997). University of Akron, College of Business, Publication Award (1997). Distinguished Sales and Marketing Executives Award, Presented by Sales and Marketing Executives of Akron, Inc., February 15, 1994. The University of South Carolina awarded him with the Academic Achievement Award for Faculty Development for his International Business Program (1989). University of Akron, College of Business, Teaching Excellence Award (1988). The Ohio Governor honored The University of Akron with the (E) Excellence in Exporting Award in Exporting (1987) for his International Business Program. In 2000 he returned to his homeland, Greece, joining the University of Piraeus, as a Professor of International Business where he served in a variety of other roles, including Vice Chair of the Department of Business Administration, but he continued summer teaching for the University of Akron and the University of Arkansas, as an Adjunct Professor, until 2007. He served as a Professor at the University of Piraeus until his retirement from the Greek public service until August 31st 2015 and recognized as “emeritus” to those serving as of October 7th, 2015; Greek rank equivalent. In September 1st, 2015 he was welcomed as a Professor of International Business and Dean of the Business and Economics Division of IST, a private institution of university level teaching in Athens, Greece. During his academic career he has contributed in hundreds of international events papers, speeches, reviews and related services. His more than 100 academic contributions appeared in a variety of media, including Journal of Teaching in International Business, Journal of Economic Integration, Journal of International Business Studies, The International Trade Journal, Issues in International Business, Kyukyo Economic Review, Arkansas Business and Economic Review, Journal of the Academy of Marketing Science, Health Marketing Quarterly, Review of Business, Current Research in Global Business, editorial volumes, teaching manuals, etc. Moreover, he published as editor the Southwest Review of International Business Research (1991 and 1990, under the umbrella of the Southwest Region of the Academy of International Business), as co-editor with editor Jon M. Hawes, Developments in Marketing Science, (1989, under the umbrella of the Academy of Marketing Science), as editor, with the assistance of J. W. Leonard, International Business Curricula: A Global Survey, (1986, under the umbrella of the Academy of International Business) and as a co-author with P. H. Taylor, Guide to Accompany Basic Statistics: A Real World Approach, 3rd edition (1983 St. Paul, West Publishing Company). His books in Greek (published by Interbooks, Athens) are in international business (2002, 2006, 2012; 2007, in English), in ship management (co-authored with Alkis Corres, 2005) in business ethics (2003 and 2009) and in self-actualization perspectives of the international manager (co-authored with 185 of his fall 2009 students, electronic format, 2010). 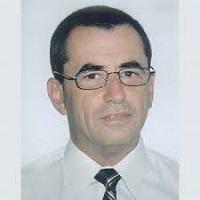 In 2013 Fedimos published the 3rd Editions of his books in Global Business and Business Ethics. In April 2014 Business Expert Press, New York, published his Global Business and Corporate Governance: Environment, Structure and Challenges, whereas in October 2015 Amazon published the coauthored textbook, with Dr. Panos Petratos, Business Ethics Theory. He enjoys contributing to the societal betterment, travelling, reading and year-around long-distance swimming.